Innovation in lighting has brought new products and classifications to the home and office. Recent efforts have centered on green technology with safety and economy. Lighting classifications include indoor and outdoor lights with entirely different purposes. Street and highway lighting can be low-pressure sodium that has poor color rendition and that takes 10 minutes to illuminate. This is unacceptable for home lighting. Have a question? Get an answer from a handyman now! 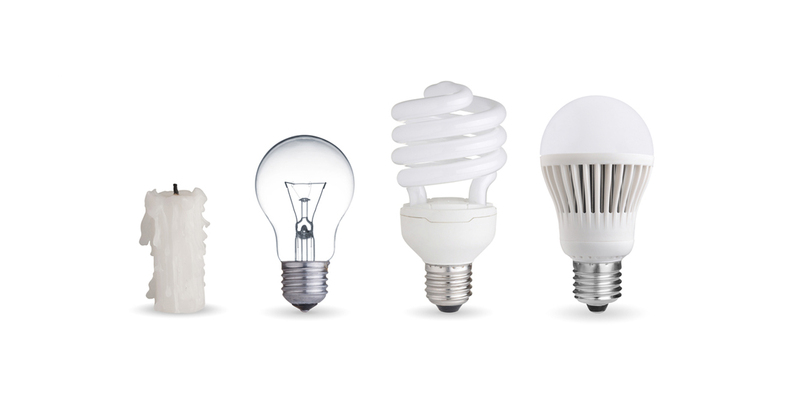 The light bulb has provided lighting for households for a century and most light bulbs are incandescent light. Incandescent is warm color lighting that does not require a ballast. It is instantly on and although light bulbs are inexpensive, constant replacement and high electricity use make them an expensive lighting source. Incandescent lights give off significant amounts of heat as well. The halogen bulb has a tungsten filament, providing incandescent lighting in a different manner. Fluorescent lighting uses a ballast and mercury perform the lighting function efficiently. Recent changes to the straight fluorescent bulb brought the circline and the CFL or compact fluorescent light to homes across America. These bulbs are energy-efficient and although they contain mercury, even the California Department of Toxic Substances Control recommends this lighting for business and residential use. A broken bulb releases mercury vapors, most dangerous to pregnant women and developing children. An ENERGY STAR CFL uses about one-fourth the electricity and lasts 10 times longer than an incandescent bulb that puts out the same amount of light, according to Energy Saver. Because of this large difference in energy use, CFLs can typically pay for themselves in nine months. CFLs come in a variety of colors so you can find one to fit your preference. Not all CFLs are designed to be used with dimmers, so only use ones specifically labeled for that purpose. Another tip to help you maximize the life of your CFL: Keep them on for at least 15 minutes at a time. Turning the bulbs on and off wears them out. One drawback of using CFLs is that they aren't always compatible with timers and motion sensors. Check with the control manufacturer before purchasing if you plan to use it for a space where you have CFLs. Light-Emitting Diode or LED lighting uses 75 percent less energy and lasts 25 times longer than incandescent lighting, according to the government's Energy Star website. LEDs are solid-state lighting (SSL) and the Department of Energy estimates that LEDs will decrease lighting electricity demands by 33 percent by 2027. CNN Money and Energy Savers websites recognize Cree as a leader in new technology for LED lighting. Used in stadiums and automobile headlights, sales rooms and focused decorator lighting, the high-intensity discharge lights use sodium, mercury and metal halide. The State of Washington Department of Ecology reports that these lights contain significant quantities of mercury and some lead in the base, but recommends that they can be disposed of as universal waste, like fluorescent lighting. They do not require dangerous waste disposal. Energy Savers include metal halide, high sodium and mercury vapor lighting in the high intensity discharge group. Gymnasiums, car lots and large open arenas use metal halide lighting. The color rendition is high quality, but the life is shorter than the mercury vapor or high-pressure sodium lighting. We are a full service wholesale lighting distributor that specializes in LED, CFL, HID, Halogen, Incandescent and hard to find light bulbs. We also have a wide variety of ballast and fixtures to choose from.